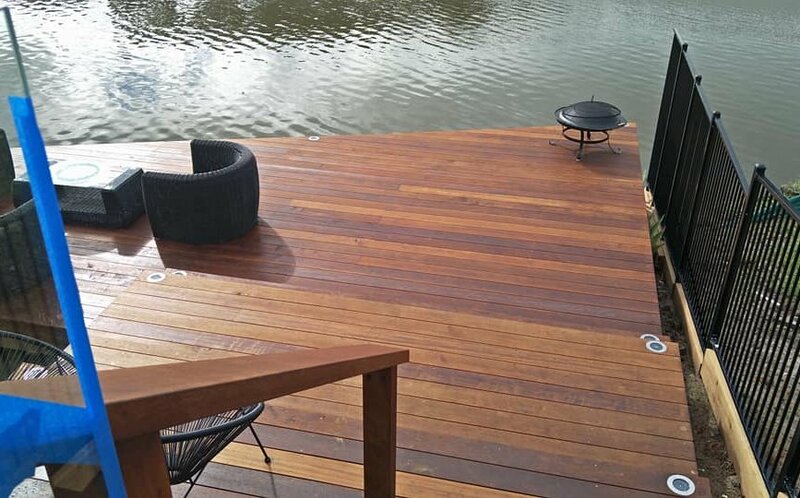 Here we have used multiple steps and a practical tiered design to get the most value out of this Kwila deck for the owner and add value to the natural landscape. We also used frameless glass fencing along the pool to minimise its impact on the view over the deck and canal. 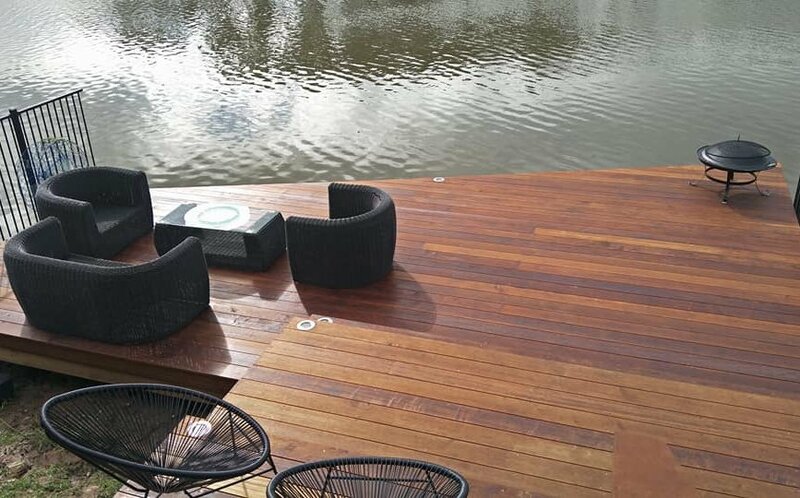 While the pool fencing and decking are essentially separate on this job, doing both still enabled us to keep the time needed for the project to a minimum. 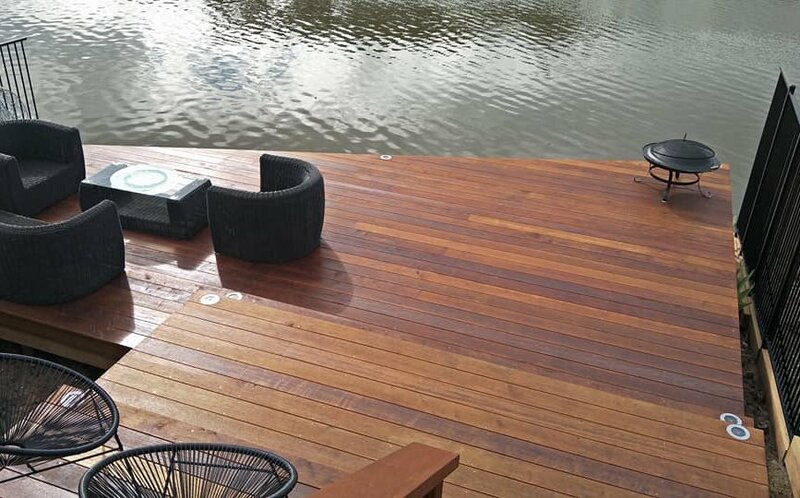 With the natural durability and weather resistance of Kwila, this deck should provide an enjoyable outdoor space for many years to come. Kwila 140x20mm boards. Stainless Steel screws. Cutek oil. 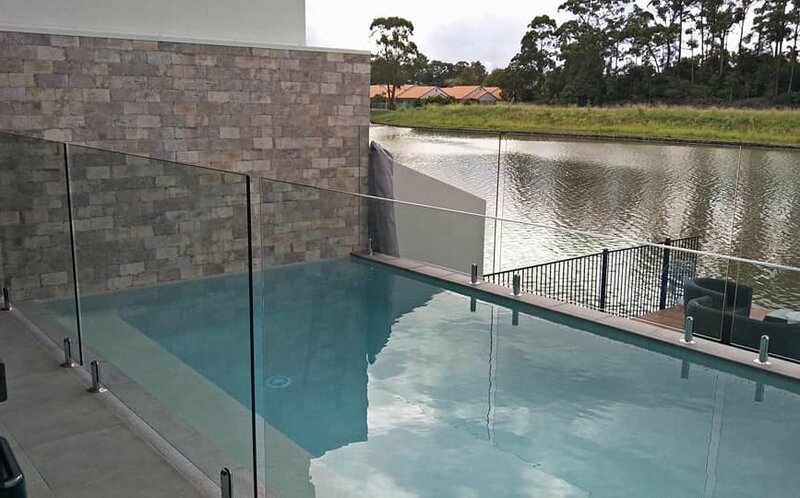 Glass frameless pool fence. Stainless Steel spigots.